The useful experience with our malaysian banking facility had been challenged during our visit at Makkah. At some point , we had to withdraw some huge money for air ticket. And we had not enough cash at hand ..
so, we tried following approach ..
BSN (Bank Simpanan Nasional) withdrawal via VISA. for usage while travelling overseas. After three different ATM machines, still no luck..
“encik buka BSN online, download form online pastu isi, pastu email semula ke bank”. Hmm.. out in the middle of the desert.. where got PC ? Oh.. it’s PDF, luckily my “Office” can open..
4.and attach.. send via email? first.. where to find printer out of no where ? and this is what called “ONLINE” form by BSN ? 3. 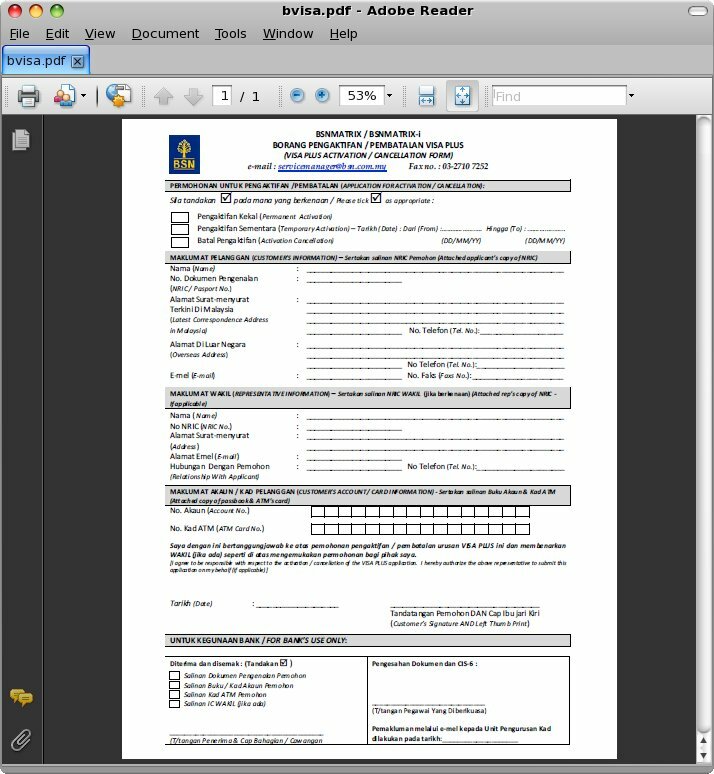 NO pdf editable/fillable form. … speechless.. as only got 1 day more to go to confirm the return flight. So, let’s try my MAYBANK..
explained the situation,currently at Saudi Arabia and needed to withdraw money while abroad. here got VISA ATM , yes Al-Rajhi bank got VISA link. me :.. read out loud the number. Maybank :”Terima kasih kerana menghubungi Maybank”. .. completed within less 3minutes or so. Done… then login to http://www.maybank2u .com.my via HSDPA connection on my Nexus One. , transferred the money over to my account, waiting for TAC,ammount confirmed, checked mine. get to ATM again,withdraw from Al-Rajhi Bank ATM,the currency is Saudi Arabia Riyal(SAR). SAR3000 is equal to RM2500+ only. plus service charge by VISA is RM12 per transaction. So, next time , either bring enough cash. Or call bank before leaving the countries..
same goes to credit card.. which is a bit better experience..
p/s : .. i reserve my comment on which bank is so good whatsoever..
1. make thing worse (add difficulties) than it is. 2. ease the thing a bit by requesting “sufficient enough security clearance” in that sense. yes, Al-Rajhi bank ATM card which is issued in malaysia can be used there too..
GPRS over blue tooth.. or cable.. I am going to be away to Papua New Guinea ..
so .. my dear reader..
can expect no update until then. unless i can find internet access from there.